Tumi Aar Nei Se Tumi Lyrics In Bengali. Sung by S.D.Burman. 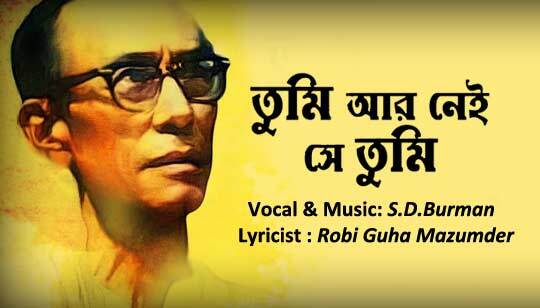 Bangla Song Lyrics written by Robi Guha Mazumder. Music composed by Sachin Dev Burman. Music Re Arranged by Partha Barua.